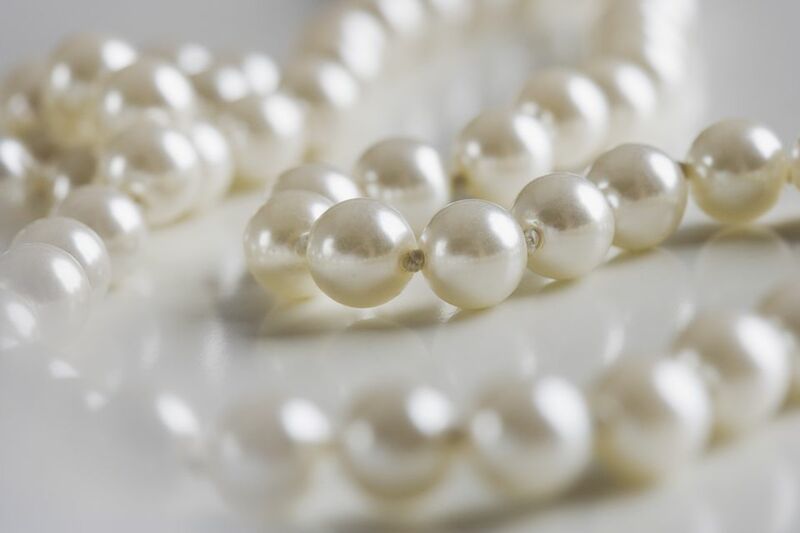 Many types of jewelry, including pearl necklaces, are knotted. If you look very closely, you’ll see tiny knots in between each pearl bead. Pearls are not the only beads strung in this fashion, as many of your finer beaded jewelry pieces are knotted. Knotted bead jewelry has a few purposes. The knots between the beads prevent the beads from rubbing against each other and potential causing damage. Also, if the piece breaks, all of the beads will not fall off, since each one is secured by a knot. While there is the traditional way to knot between beads there is also an alternative method. It’s another way to create a knot and some people find it easier to do. Try this technique if you’re new to knotting. First, you’ll need to determine the type of cord you want to use. There are two types that are most often used for knotting: silk and nylon. Silk is the choice of the traditional knotter, but it has its drawbacks. Many beaders complain that silk is prone to snags and frays. Nylon cord can also be used. Both come in a variety of colors such as black, white, burgundy, blue, pink, and brown. It’s best to try to match the color of the cord with the color of the beads. You can also choose a contrasting color for design reasons and then it will be slightly noticeable. Cord can be purchased on small cards with about 6 feet of cord and a needle attached. For the serious knotter, larger spools can be purchased with separate needles. Both types of cord also come in different sizes. The thicker cord is used for the larger beads since the holes in the beads are larger. For the alternative technique, two strands are put through each bead, so a thinner size is needed. For 6 mm beads, try two strands of size 2 cord for this technique. First, start a necklace or bracelet as you normally would. Though there a few ways to start a beaded jewelry piece, the preferred method when using nylon or silk is with bead tips (clamp shells). The only difference is that two strands of the cord are inserted through the bead tip instead of one. You'll have two nylon or silk cords tied together and finished off with a bead tip versus the usual one strand. Once the necklace is started, string on a bead, and with the two strands of cording, make a knot (right over left or left over right). Tighten the knot so that it is pushed up against the bead. Continue to string a bead, make an overhand knot, string a bead, make an overhand knot until you reach your desired length. That’s it. Finish the necklace as you would any beaded necklace whether it’s knotted or not. This technique is simple and the results are the same as those using a single strand knotted cord.